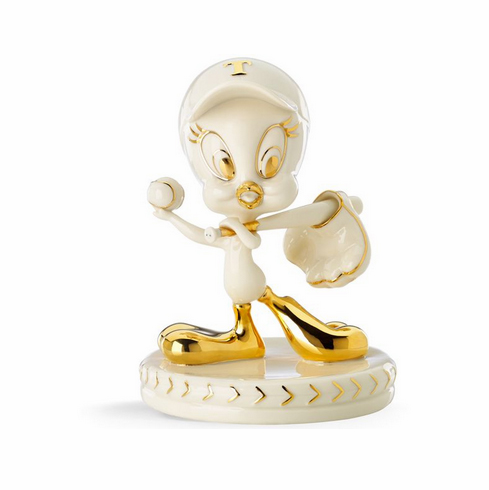 TWEETY's Play Ball Figurine portrays TWEETY looking like an all star, throwing the ball with style and wearing a classic baseball cap decorated with a golden T. This original figurine captures the unique charm of America's favorite bird playing America's favorite game. Crafted of Lenox ivory fine china, accented with gold. Under license by Warner Bros. Entertainment, which has reviewed this product for quality and authenticity.